By Asrad CG As the wheel of the year turns and the days grow longer and nights shorter our spirits start to lift. Without knowing darkness we cannot love the light and without experiencing the cold long nights of Winter we surely could not love the Spring and Summer as we do. Knowing and experiencing the harshness of winter means we make the most of the lighter nights and warmer days just as our folk have since the very beginning. 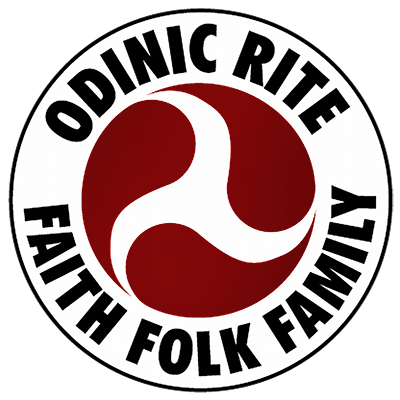 https://i2.wp.com/odinic-rite.org/main/wp-content/uploads/2015/04/ostarasun.jpg?fit=1000%2C667&ssl=1 667 1000 Hengest http://odinic-rite.org/main/wp-content/uploads/2016/05/or-badge400-transp.png Hengest2015-04-25 21:56:062018-11-16 22:11:18Ostara inspire us! By Redwald OR It was Woden’s day in Horning 2009 when I performed the inaugural blot to celebrate my newly acquired Hama status – ‘Hama of the Golden Harvest’, named to honour and reflect my rural surroundings. Taking this new step forward, all I had to go on was an instinctive feeling that Odinism was something I felt in my gut rather than read in a book, along with an article by Eowyn OR on the Hama. By Thomas B AOR The meditation concept is something really vast. I’m probably not alone in thinking that but I had a lot of trouble understanding it and even after a year it’s not always easy. I think the hardest part about that process is to find a way which allows you to shut everything down while opening yourself at the same time. It’s not really clear but to put it another way, you cut yourself from your surroundings to find the part of you buried deep inside. The Great Moot - Observations from a first timer! By Hodekin AOR The Great Moot… What a wonderful title to conjure with! And for someone who is still very much a newcomer to the OR, and in spite of the many posts on the forum which said everyone would be welcome and no one would be left alone, for me it was still something of a daunting prospect to attend a meeting in which I would come face to face with the very people who I regard as being the living breathing heroes of the Great Awakening. https://i0.wp.com/odinic-rite.org/main/wp-content/uploads/odinguard1.jpg?fit=1060%2C445&ssl=1 445 1060 Hengest http://odinic-rite.org/main/wp-content/uploads/2016/05/or-badge400-transp.png Hengest2015-01-21 19:02:132018-11-16 22:15:55The Great Moot - Observations from a first timer! By Gythia Eowyn OR The depression many people experience today is not just sadness: it is a dark night of the soul because the influence of the fylgia in our lives is being severely constricted, if not effectively suffocated. It is integral to the soul of Nature so that there is a synchronous relationship between what we perceive as our own soul and that of the Natural World. Literally, we feel the pain of the natural world. By Gothi Arinbjorn OR On the night of Midsummer, 2264re, in front of friends, comrades and family, I was ordained as Gothi Arinbjorn of the Odinic Rite. This sacred ritual was the culmination of 4+ years of study, 2 years of growth and evolution, and a lifetime of events that seemed to point to that night.